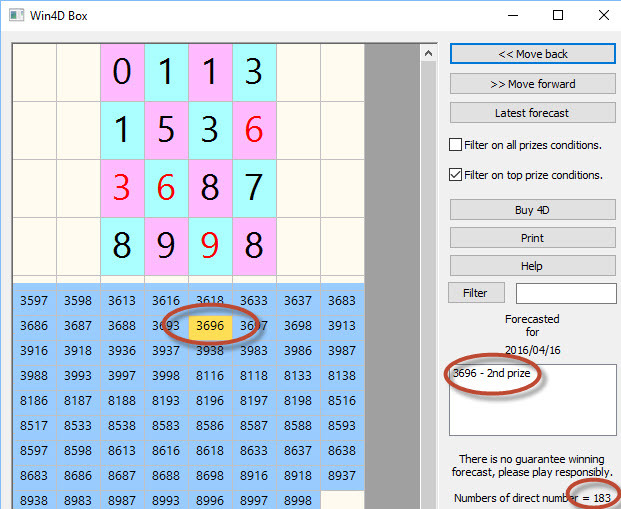 Yes, with the introduction of the new features Win4D Box in our Win4D Advance software Version 3.5, many Users already benefited from the software. Take a look at the recent forecast that won top prizes. 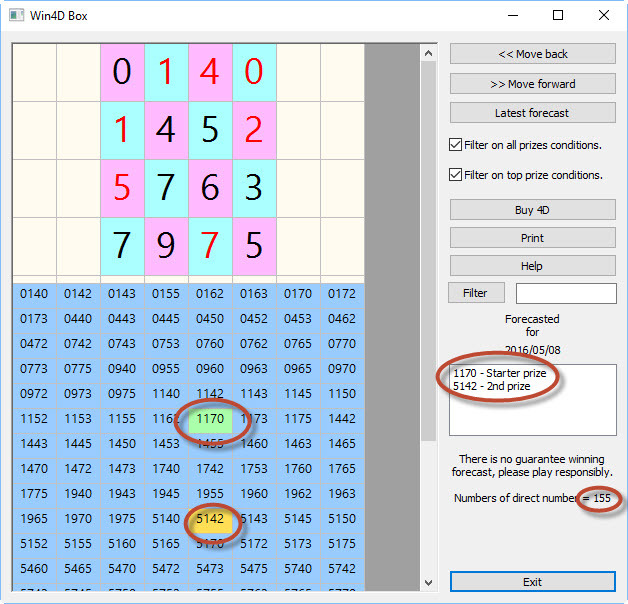 Forecast for 16 April 2016 - 2nd prize 3696. 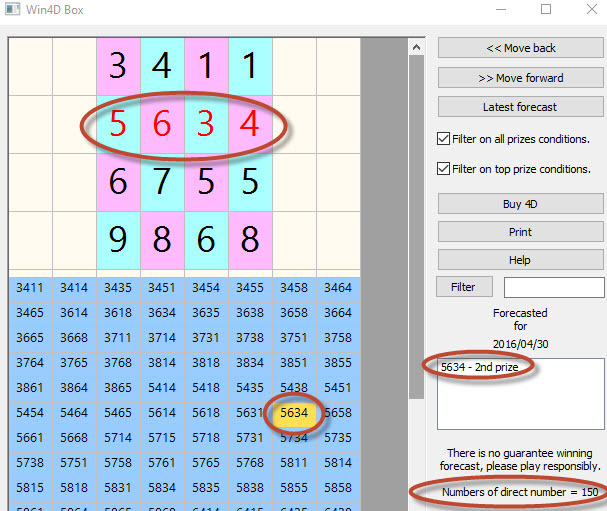 Total 4D Direct forecasted after filters are 183 sets. 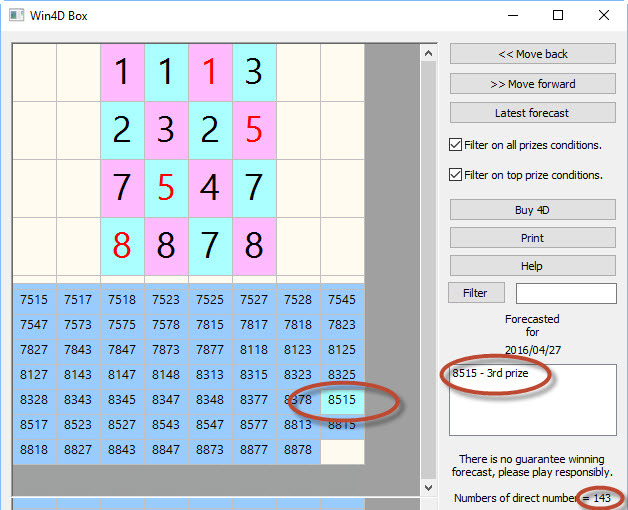 Forecast for 27 April 2016 - 3rd prize 8515. Total 4D Direct forecasted after filters are 143 sets. Forecast for 08 May 2016 - 2nd prize 5142. Total 4D Direct forecasted after filters are 155 sets. Forecast for 30 April 2016 - 2nd prize 5634. 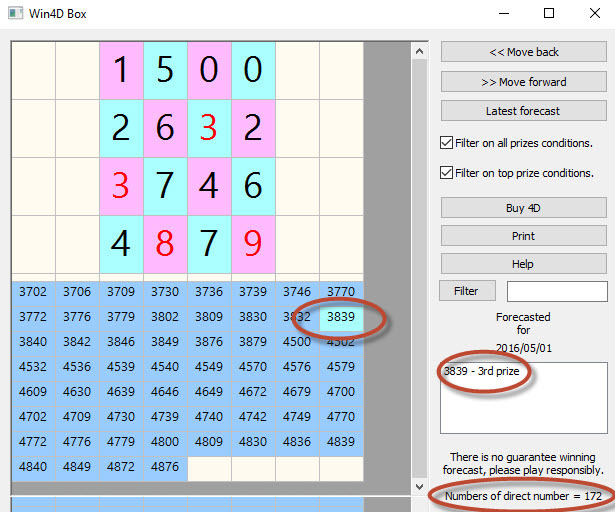 Total 4D Direct forecasted after filters are 150 sets. Forecast for 01 May 2016 - 3rd prize 3839. 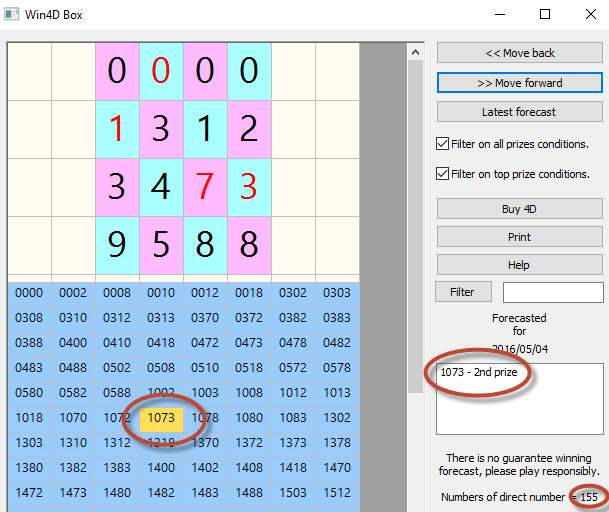 Total 4D Direct forecasted after filters are 172 sets. Forecast for 04 May 2016 - 2nd prize 1073. Get the latest version, call +6592300837 for more details.